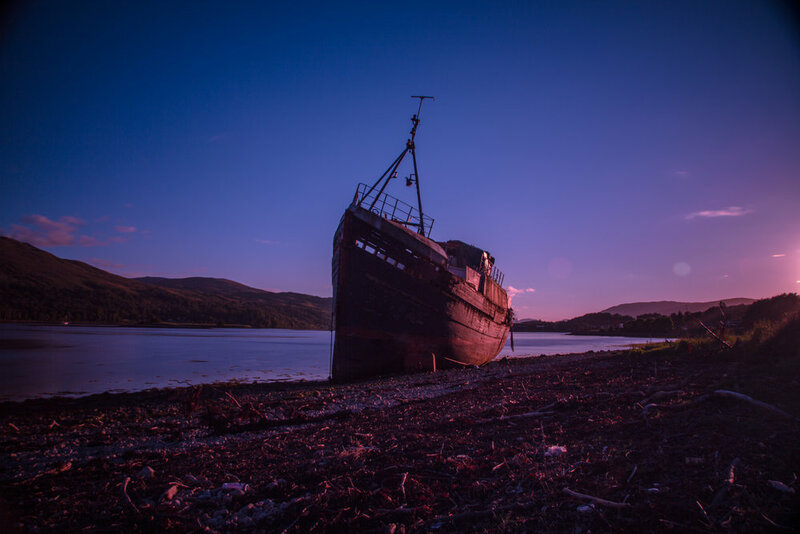 After driving to Glencoe I thought it was worthwhile driving on to Corpach to finally visit the abandoned boat on the seashore. 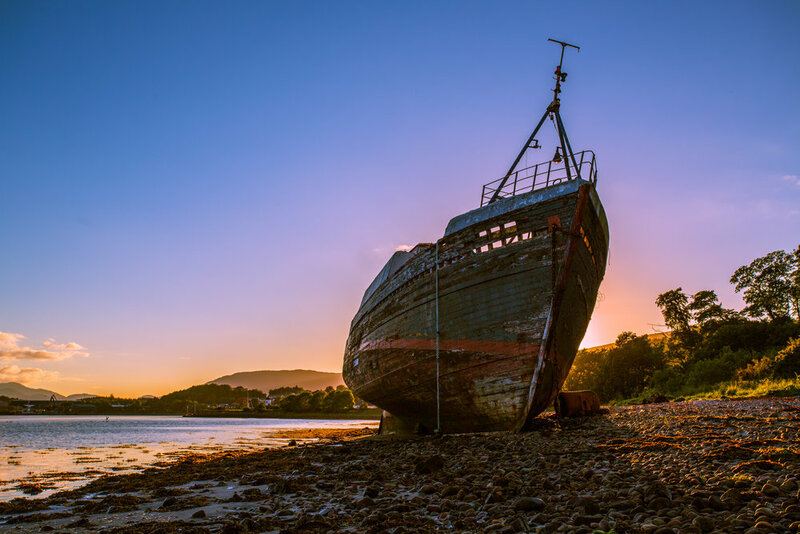 I have always been fascinated with old boats like this, I like to wonder what their story is and how they come to their final resting place. It's an old fishing vessel, and I couldn't really find much information about it, apart from the news story that it's emergency beacon caused a major air and sea search. Apparently the beacon may have been triggered as it deteriorated. The report said that the vessel was abandoned "at some point" during the past ten years. I didn't get the shots that I was hoping for but I got some that I liked that are displayed below. 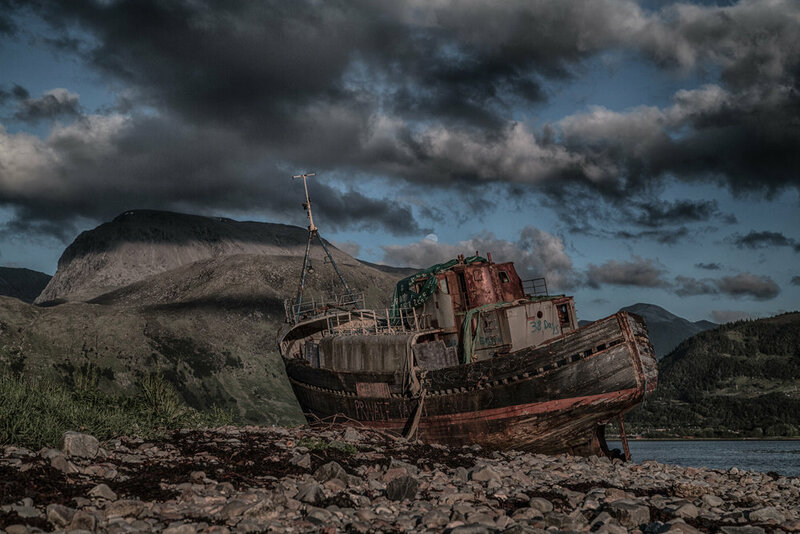 In the first shot you can see Ben Nevis in the background.